Optical Surfaces Ltd has been producing optical components and systems for the last 50 years and is now accepted as one of the world’s leading manufacturers of high precision optics. In addition to these natural advantages, Optical Surfaces has invested in an extensive range of test equipment and have developed methods to ensure accurate and reliable testing. Wherever possible all test equipment is traceable to National Standards. 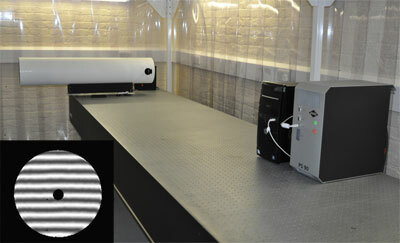 Optical Surfaces also has access to surface roughness testing and other high accuracy metrology. Test reports include details of mechanical, optical and environmental data. Optical Surfaces are committed to enhancing our test capabilities and are constantly reviewing the facilities in light of technological advances.